Once surgery has been performed and you’re ready to return to your daily life, it is important to care for your ostomy. Caring for your ostomy is not only medically necessary, but is important to maintaining your quality of life. Care for your ostomy includes emptying your pouch when necessary, replacing your pouch system as needed, and skin and stoma care. Irrigating your colostomy is a good idea to control when you eliminate waste. Irrigation will require the approval of your doctor and he/she will provide guidance. Vigilant hygiene will help prevent infection and ensure that your ostomy performs properly. How Do I Learn to Care for My Ostomy? Now that your surgery is over and you have recovered it’s time return to your normal life. Your doctor will give you guidelines for looking after your ostomy. It’s important not only to look after your colostomy/ileostomy, but your skin and stoma need attention also. Wound, ostomy, and continence nurses are available in some medical centers and can help you learn how to care for yourself. Online resources are abundant and easy to access, but your doctor should always be consulted before changing any care plan. What Will I Need for Proper Ostomy Skincare? Since an ostomy is a surgical procedure made necessary by a damaged digestive system, a hole is made in the abdomen and the intestines attached to the abdominal wall (the stoma) to facilitate waste disposal. The need to keep everything clean and infection free will require different supplies. Since there is no muscle around the stoma, you will not be able to control when waste or gas passes out of your body. You will need pouch systems, barrier paste, skin wipes/powders to protect skin under the barrier and around the stoma, tape, and other medical supplies your healthcare provider may wish you to have. Many manufacturers make pouch systems for your colostomy/ileostomy. According to Web MD.com, a two piece pouch system has a pouch and barrier system separate. The pouch contains a closing ring that attaches it to the barrier, usually a snap ring similar to those on food storage containers. The barrier fits around the stoma and adheres to your abdomen. The Cymed MicroSkin , Stomocur Two Piece, Hollister Premier, and Coloplast Assura AC Easiflex Colostomy kits are good examples of two piece systems. They offer both the barrier and the pouch components for your colostomy/ileostomy. The one piece system is similar in function but has the pouch and the barrier as a single unit. Cymed MicroSkin and Stomocur also manufacture one piece systems in addition to their two piece systems. These one piece systems come in different sizes to accommodate different patient’s needs. These manufacturers of both one piece and two piece systems offer many variations to accommodate almost all patients. In order to have a good seal around the stoma, a skin paste is applied in order for your system to work properly. 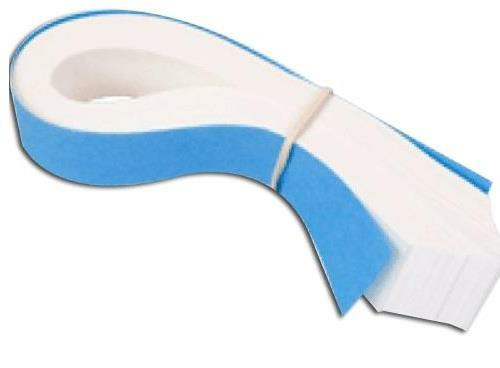 Coloplast manufactures both the Brava Ostomy Strip Paste and their standard Ostomy Paste. 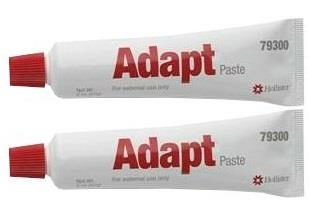 Other manufacturers include ConveTec Stomahesive Paste, Genairex Securi-T Stoma Paste, and Montréal Osto Stoma Paste. Another option is Cymed Micro Hesive Stoma Paste. These pastes act as filler for uneven skin areas around the stoma in order to facilitate a better seal. As you can imagine, there can be irritation on your skin around the stoma which can lead to medical complications. The use of skin powders helps keep moisture away from adhesives and keep the skin dry and reduce skin irritation, not to mention an increased wear time of your ostomy appliance. They can also help with excoriated skin due to adhesives. Much like other products, there are options for patients. 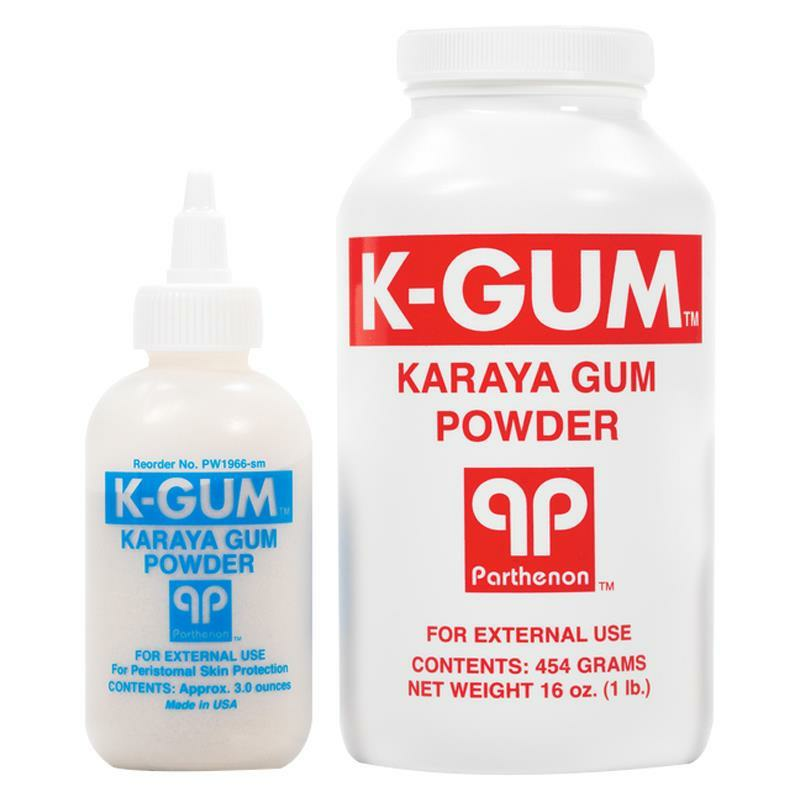 Coloplast Brava Nonsterile Ostomy Protective Powder, Parthenon K-gum Karaya Ostomy Powder are good choices, plus both ReliaMed and Montréal offer Pectin Powders. They are often applied by squeezing the bottle and puffing the powder onto the desired area for increased ease and convenience. Since colostomy/ileostomy kits are attached via adhesives, it’s important to remove those adhesives when changing your pouch kit. Safe N Simple Peri Stoma Adhesive Remover Wipes offer a convenient and gentle way to remove adhesives. They are alcohol free and multiply adhesives without leaving any residue. They are no-rinse no-sting easy to handle wipes.